The thought of a ‘doomed’ life living with type 2 diabetes, is something that overwhelms many people. After all, you get told diabetes is a progressive disease, that you’re eventually going to get worse, and that all sorts of additional health problems may come your way – heart disease, eye problems, kidney problems, and other diabetes complications. Not exactly news that makes you jump with joy, right? 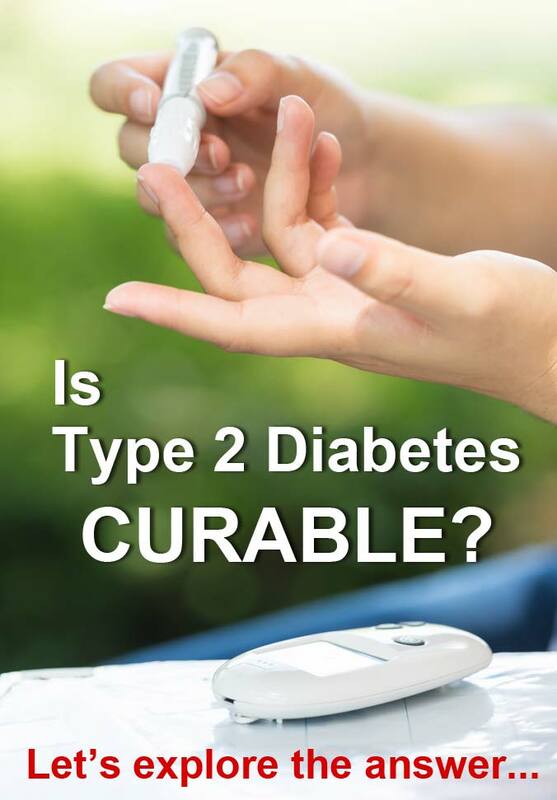 Some of you may want the quick answer, so before we delve deeper, the quick answer is: type 2 diabetes is not “curable” in the medical sense of the word. Technically, once you’re diagnosed with type 2 diabetes, you will always have type 2 diabetes. But research shows (and so does the experience of real people) that type 2 diabetes can be put into ‘remission,’ and therefore is ‘curable’ in a sense. ‘Diabetes remission’ and ‘diabetes reversal/ reversed’ are two common interchangeable terms used in scientific research. 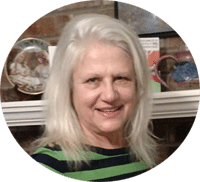 For instance, remission and reversed would most commonly indicate that a person has achieved and is maintaining normal blood glucose and is off all/most medications, achieving these outcomes predominantly through diet and lifestyle changes. 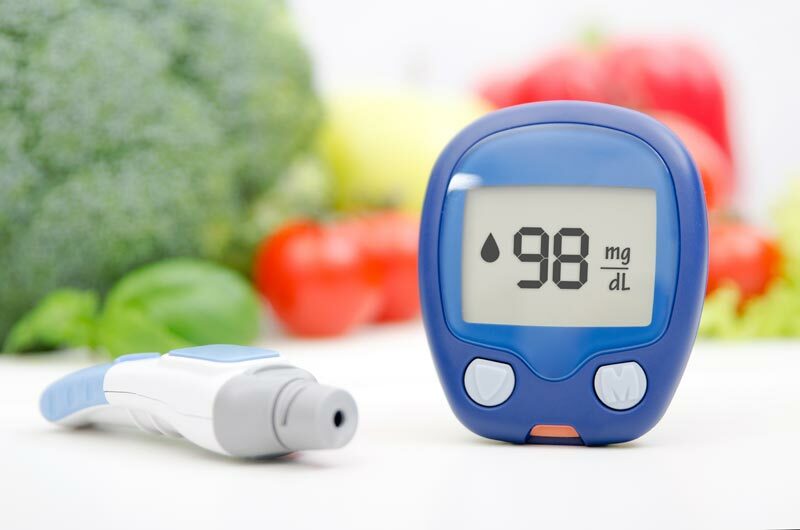 While being well-controlled may indicate that a person uses a combination of diet, lifestyle and various diabetes medications as a way to achieve healthier blood glucose levels. As we just established, achieving diabetes remission or reversing type 2 diabetes is possible – many before you have done it. Even people here in the DMP community. While every individual is different and we certainly can't make any promises, the key to ‘reversing’ diabetes is getting your blood sugar levels back to within the normal healthy range. Achieving normal levels can take some work, but it is possible. And the more you try to achieve that goal, the better off you'll be because it’s the high blood sugar levels that causes damage to the cells in the body, which leads to all those nasty complications you want to avoid. High glucose levels also promote excessive insulin secretion, along with cellular/systemic inflammation, which further alters metabolism. Therefore, with getting your blood sugar levels back to normal, you reduce your risk of all these things occuring. And you pave the way for your metabolism to return to normal over time. No, it doesn’t happen overnight. But with diet and lifestyle changes that you maintain over the long term, it is possible to reverse your condition substantially, if not return to living a ‘normal' life. One thing that no one will argue about, and science proves, is that if you do nothing, your diabetes will definitely progress. So it certainly pays to educate yourself and implement changes in your life that can help improve your health. So HOW Do You Reverse Your Diabetes? Studies have shown that surgery can produce remission of diabetes. Really, surgery should be a last resort. And interestingly, when evaluating why bariatric surgery puts diabetes in remission, research experts reached the conclusion that the long term benefits of bariatric surgery were really due to the subsequent calorie restriction. There have been several studies showing very low calorie diets (600-800 calories per day) can put diabetes into remission. The most recent of which caught the attention of mass media worldwide, and can be considered one of the most revolutionary dietary studies to date, for a number of reasons that we’ll go through now. The 2017 clinical trial, randomized two groups of people with type 2 diabetes to either the standard diabetes protocol, being the “best-practice care by guidelines.” Or in other words, the present diet most commonly recommended by doctors, dietitians and diabetes associations worldwide. While the other group was on a low calorie diet of 825 to 853 calories per day, consisting of 4 nutritionally balanced dietary shakes. However, also note that this diet was a low carbohydrate diet of around 122 to 126 grams of carbs per day. Low carb has been defined as anything under 130 grams per day. The results of the study showed a large percentage of the calorie restricted group lost over 30 pounds/15 kg, and 46% of them achieved complete diabetes remission – pretty impressive! In the standard diabetes protocol group, not one person achieved a 30 pounds/ 15 kg weight loss and only a measly 4% of people achieved remission. As suggested already, this study is potentially one of the most important public health publications to hit the media. The researchers titled their publication “The Diabetes Remission Clinical Trial” and have actually brought the concept of ‘diabetes remission’ to the forefront, even though it’s been known for sometime that remission is possible. The researchers took all the participants off medication prior to beginning the dietary interventions, which clearly demonstrates that it is possible to cease all medications and use dietary strategies to treat type 2 diabetes effectively. This study proves without a doubt that the “standard diabetes diet protocol” being recommended worldwide DOES NOT WORK. People in the ‘standard protocol' group saw very little, if any change over the trial, compared to massive changes in the other group. The fact that dietary strategies have been proven to be effective for type 2 diabetes remission could potentially change the public health recommendations and encourage more doctors to offer patients dietary strategies that actually work – let’s hope more of that does happen in future! However, the bad news of this… living on a very low calorie diet is not a proven strategy long term. …which unfortunately few people are able to maintain long term. Researchers have known this dating back to the 1950s! Many studies have shown that a low carb diet can put type 2 diabetes (and prediabetes) into remission. And thankfully, a low carb diet does not require starvation or deprivation, nor surgical intervention! In fact, a low carb diet is really a very flexible diet. You don’t have to live on shakes or deny yourself of food – please, eat when you are hungry! In fact, you can even eat at McDonald’s and request a burger without the bun, along with being able to eat at many other fast food outlets, if you’re caught on the run – just choose wisely! Of course, natural whole foods are always a better option, but just to emphasize the point that a low carb diet is flexible, not restrictive. Here at DMP, we are all about educating you on eating a healthy low carb diet. Our weekly diabetic meal plans offer up a delicious selection of low carb meals so you can enjoy life more while regulating blood sugar and A1c at the same time. You can view our recommended food list here. Learn where to get started with your low carb diet. And browse our free resources for some great material on eating for better blood sugar control. People can and do reduce or eliminate their medications, however, you should always work with your doctor and healthcare team to do so. Do not just stop taking medications or make any alterations to your dosage without first consulting your doctor. If you already have complications, it could take longer to achieve substantial results. And it may be that due to substantial damage already occurring, complete reversal/remission may not be possible for you. It is important to recognize that every person’s body is different, and changing your diet and lifestyle doesn’t guarantee a complete reversal of your type 2 diabetes. However, even if you still have a need for some medication and can’t completely reverse symptoms, you can make vast improvements, which still makes it a worthwhile pursuit. Don’t feel bad about the fact that you may need to continue taking some medication for various reasons or another. You can do everything you can and sometimes the body will not comply, or it may be that substantial damage has already be done that cannot be completely reversed. However, be entirely hopeful! 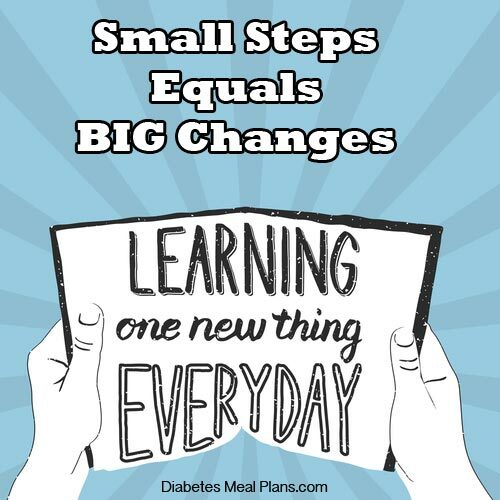 Because even in our experience here at DMP, people who have had diabetes for 20 years are completely transforming their lives, reversing their prediabetes and type 2 diabetes – it is possible! One thing we know for sure, if you do nothing but take medications. And if you change nothing in your life, then chances are your diabetes will progress over time. Yes, there is science to prove this too! Learn one new thing each day and make sure you implement one new thing alongside it! It should be mentioned that the low calorie diet study mentioned above, failed to refer to any low carb dietary research, even though plenty of it is available. And the study was funded by particular weight loss products and a weight loss program – so in a sense there is bias in this study that has failed to address other options for diabetes remission. The major point is: your diet plays a primary role in the treatment of your type 2 diabetes and prediabetes. And then things like physical activity, weight loss, better sleep and reduced stress can help, too. Certainly a low calorie diet works, but over the long term is difficult to sustain. While a low carb diet is more than sustainable, as a life long way of eating. Here at DMP, we're all about providing quality nutrition education. And hopefully we will continue to see dietary recommendations for type 2 diabetes treatment being emphasized more and more in 2018 and beyond! If you’ve achieved results from following our lower carb dietary recommendations, please share them in the comments below, we’d love to hear about them – and it helps encourage others, too. I think the main takeaway should be that type 2 diabetes is a do it yourself disease. If youre young and overweight, and you think you may be having symptoms of type 2 diabetes, i suggest avoiding going to a doctor to get diagnosed with type 2 diabetes altogether. The only thing that will come of going to a doctor to be diagnosed with type 2 diabetes (particularly for a younger person, with few or no real complications) is getting themselves stamped with a disease label for the rest of their life; at which point they will be written off as some sickly diabetic for the next 50 years. So there is really no point in going to a doctor to be diagnosed with type 2 diabetes since doctors are virtually useless in curing it, and even the medication they give you for type 2 diabetes only makes your blood sugar numbers look good…but it doesnt actually prevent complications. And type 2 diabetes isnt like HIV, where youre a public health hazard to others if you dont know your statusn or cancer where if you dont treat it immediately, it spreads and kills you. So there is simply no incentive to get doctors involved for an official diagnosis of type 2 diabetes, since doctors dont cure anything anyway. If type 2 diabetes is naturally progressive, cant be cured, and the medication for it doesnt actually prevent complications, then whats the point of getting a diagnosis? You either change your lifestyle to become healthier or you dont. Thats really all it boils down to. Medical science is relatively primitive in terms of finding actual solutions to type 2 diabetic complications so theres no need to go get a doctor involved. For younger, overweight potential type 2 diabetics it would be wise to just completely skip the doctor portion and change your lifestyle, and buy an over the counter blood sugar monitor and test strips to monitor your blood glucose yourself.. That way youre not branded with an incurable disease label forever, but youve still taken charge of your health. Because it certainly isnt worth finding out youre diabetic with a medical diagnosis, and reading about all the complications awaiting you like neuropathy, amputations, blindness, dementia, and erectile dysfunction, all capped off by an early death, when theres nothing that the medical system can even really do to prevent those complications. If theyre going to happen, theyre going to happen, but it would be much less mentally taxing to reverse your condition yourself, and live your life as if you were free of worry about those complications, since you havent officially been branded as a type 2 diabetic. Last February my doc said that my A1C was 6.8. 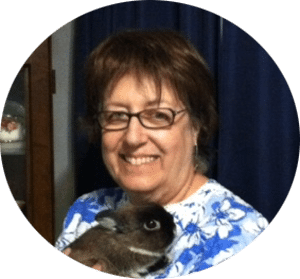 He sent me to a nutritionist who walked me through what Diabetes was and what was happening to me. At the end she said you can eat what you want but no more than 210 carbs a day. Over the next six months I kept to that and to my amazement lost about 30 lbs. (I hadn’t actually thought about losing weight at all I was just sticking to the 210 carbs.) When tested at the six month point my A1C was 5.3. I have stuck to this regimen with very little difficulty, tho I have discovered that there are really only 3 isles in the supermarket I use! Reducing carbs will always produce results. Here we encourage under 130 grams a day, but any reduction will lead to improvements. Congrats Jim – it’s fantastic that you’re feeling better!